Adventure Bike Rider or just looking for adventure on your motorbike in Scotland. We welcome anyone who lives in Scotland or maybe planning a trip to the wonderful roads in Scotland. This forum is designed to be a friendly place to hang out , contact mates & chat with friends. We also encourage members to post pictures & videos, get involved in meets and rallies. 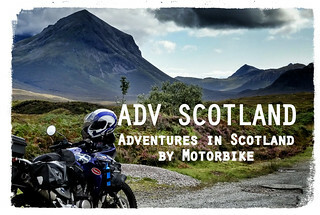 So if you are looking for information about Adventure Biking in Scotland , this is the place. Aimed at the Adventure Bike Rider but any type of bike is welcome. 2019 OutWest Rally, Get your bags packed. Visit Lomo for Motorcycle \ Motorbike Dry Bags & Accessories. Lomo have kindly offered prizes for our competitions this year. Check Out TwistMoto for your equipment requirements.